Art directors, editors, managers and, yes, photographers, all like to be in charge. Unfortunately for us all, stuff happens, chaos sometimes ensues, and our carefully laid plans are sometimes redirected by outside forces. It’s how we deal with that chaos that determines outcomes as much as does creativity and hard work. Here’s an example. A lot of my photography is client-direct. One advantage to me is that I get an unfiltered view of my client’s vision for the project, a vision that hasn’t been filtered through departments or outside agencies. It can also put me in the Harry Truman position: the buck stops here. 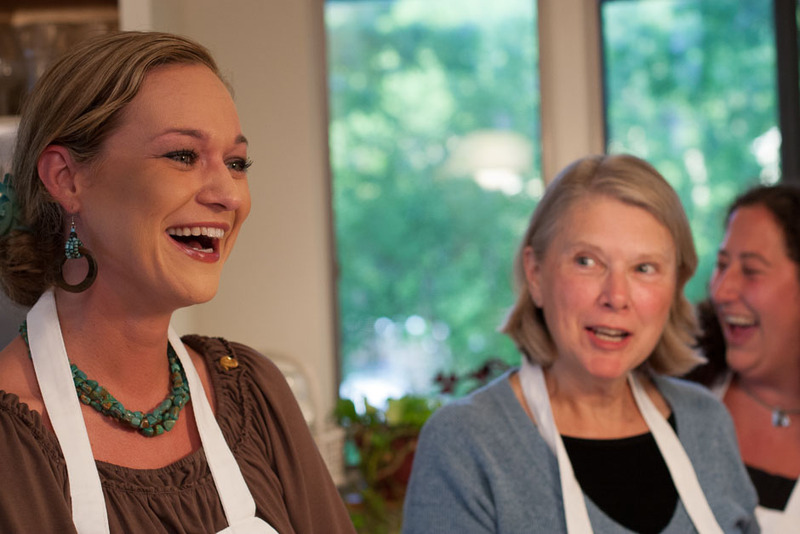 I was commissioned to do some advertising photos for a company called Becoming Italian Today with three areas of business, one of which is Italian cooking classes. They wanted photos of one of the classes to use on their web site, in print collateral, and possibly in multimedia for the web and for trade shows. On the walk-through a week before the shoot, the kitchen was under renovation: drawer fronts and cabinet doors had been removed, electrical faceplates were off, and the walls were in the middle stages of refinishing with marmorino plaster, another of the company’s lines. I was assured that everything would be in order for the shoot. 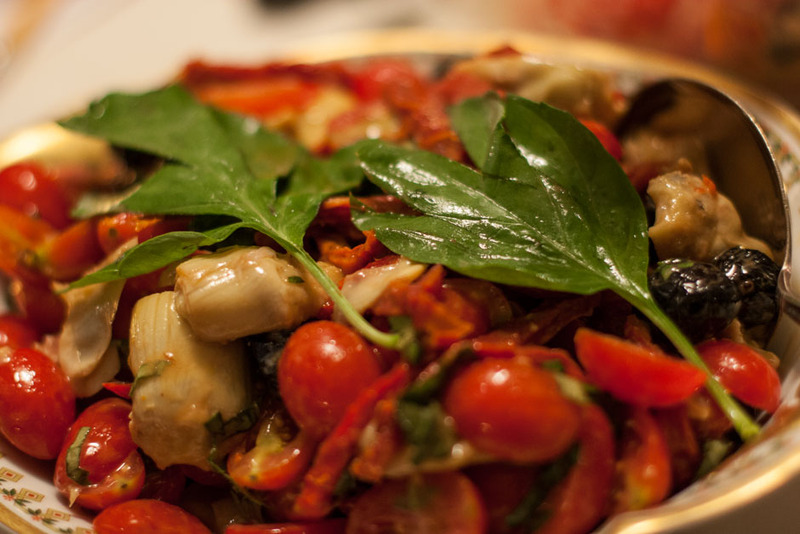 A tomato and artichoke salad, garnished with parsley. I wanted to be there in time to set up and to maybe cadge a few appetizers catch some of the prep, and the participants were due to arrive at 7, so on the day of the shoot I showed up at 4. 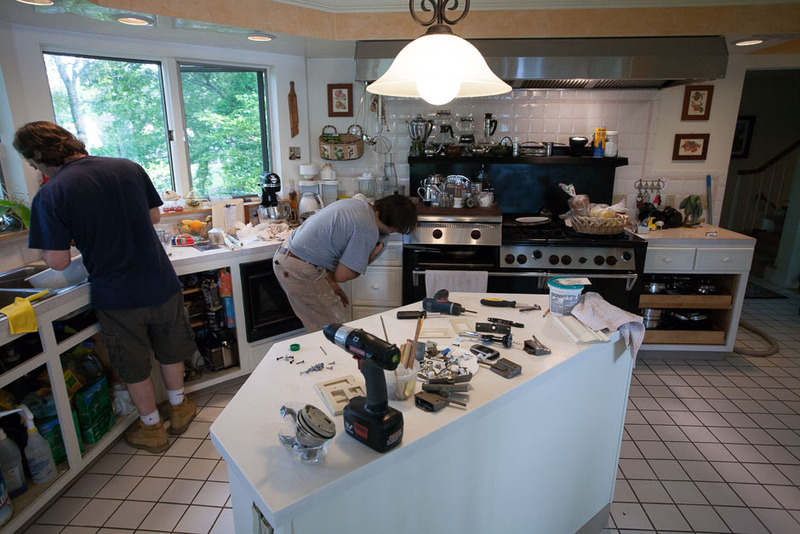 The kitchen was still being reassembled: the counters were covered with drop cloths, cordless drills and screwdrivers, boxes of cabinet knobs, electrical cover plates and more. I’ve done a lot of my own household renovation, and I could see that this was going to take a while. So I brought in my cameras and lights, set up a staging area, and pre-lit what I could without getting in the way. Getting near crunch time, and the work isn’t over. As we got closer to 7, everyone was getting concerned. But the interesting thing to me was, and it’s a lesson I took to heart, that despite the concerns, despite the fact that the participants were going to show up any minute and the prep wasn’t finished and the cabinet doors still weren’t in place, nobody got cranky. Nobody. Not the instructor, not the company president, not the contractors (who, by the way, were the spouses of the instructor and the president, and could have been easy targets.) So what? 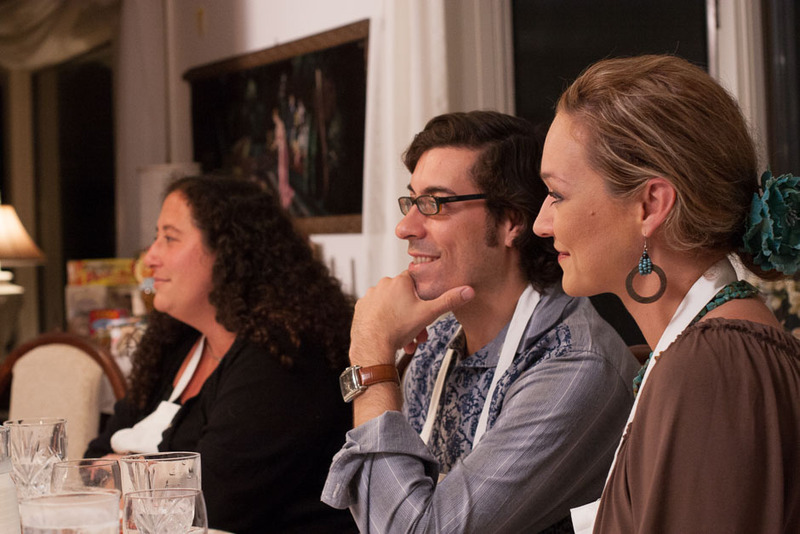 The participants were very happy with the class and the dinner. I got some energetic photos and exciting multimedia of very happy people for the company’s marketing. Here’s the takeaway: Everyone had skin in the game, and everyone knew that they could do they jobs they had to do most efficiently if they were left to do their jobs. And they did.